Yesterday was my first day at tatting and I was a passenger in the car on my way to work. Today I switched threads to #3 cotton. It's a whole lot easier to work with since my hands are still clumsy. I found a tutorial on YouTube : RustiKate. She made it really easy to hold my thread, using phrases like "hold your finger like rubber band pistol". 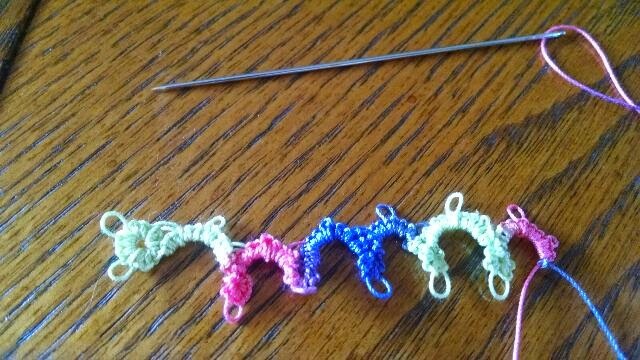 Anyhow, I'm getting better at making double stitches and today, I am making a picot! I'm learning how to Tat via YouTube and the internet. My Grandma Nellie Flowers always wanted to learn. So this is for you and me, Grandma! On my car trip to work, I brought up Instuctables to see the proper hand placement. I know it's way too tight. Right now it's practice, practice, practice! It has been such a beautiful day! The weather was sunny and barely any wind. 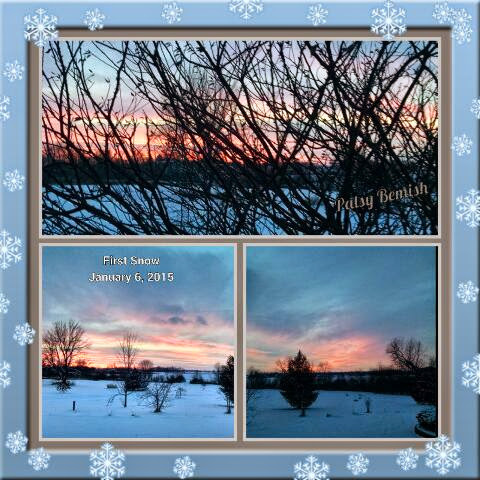 Temperature was a low 14° and snow was about 6". I had to run errands today, so the pretty snow and mostly clear roads were a treat! My husband and I just rented a little booth at the local emporium. He will sell his machine parts and tools. I will sell my crafts. A new adventure ahead for us! After a wonderful day of feasting with family and friends, it sure it's nice to set back in the easy chair and do a little crochet. I'm working on a scarf to go with mitts and boot cuffs. 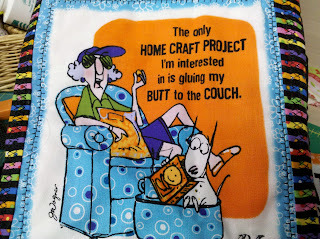 I posted this picture on Facebook, it ended up on Quiltville's Quips and Snips! Thank you, Bonnie- you made my day! 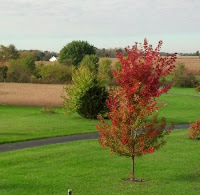 The first day of fall was in the air when I posted the picture on Facebook, now it seems like winter is on fast forward. Hey! We haven't even had Halloween! Our first snow was Tuesday, October 22nd, on the way home from work around 11pm. We woke up Wednesday, to a light dusting of snow deep enough to see your footprint! Thankfully it melted as soon as the sun hit it. 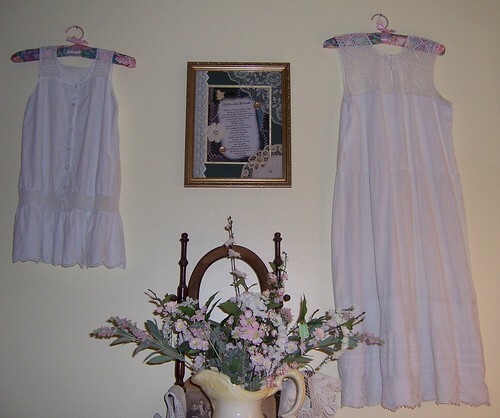 Vintage nightgowns, Mother and Daughter, originally uploaded by Patsyquilts. 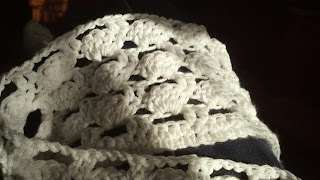 Now that summer is here, I have been wanting to to crochet with size 10 crochet cotton. There's something very feminine about crochet on cotton garments. 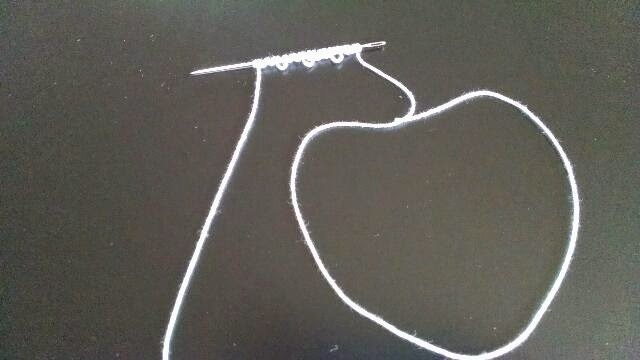 The only problem is that the hook and thread are so tiny and hard to hold. I end up with tension being loose or too tight. It just takes time to get used to the feel of light weight thread. Maybe with practice I will be able to replicate these vintage beauties. I'm just crocheting a little on a future Granny Square afghan, it's a project that I've been working on for about a year! It's good to be able to relax with the yarn and know that I don't have to go outside! Maggie is chewing on her bone, we are both very happy indeed! 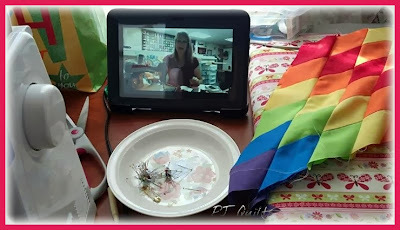 I went out to JoAnn's Fabrics yesterday, it was a bit cluttered in there due to an inventory. I made a small haul by using my gift cards from Christmas. There was a very pretty bolt of Victorian Scrap that I plan to use as a pillow for Valentine's Day. It will go nicely with some Red Work and other patchwork pieces in my living room and sun room. Welp! Back to my coffee before it gets cold! My kids gave me a set of crochet hooks and lots of cotton yarn for Christmas. I Googled "water bottle cozies" for ideas, when I came upon a blog called Coco Rose Diaries . I have seen her work on Flickr and Pinterest. 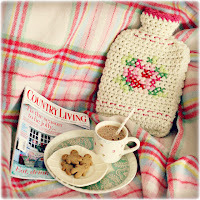 A beautiful water bottle cover from Coco Rose Diaries. 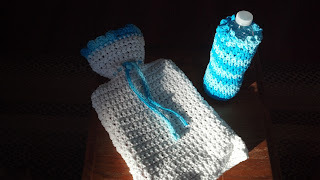 Water bottle cover and water bottle cozy. It has been a wonderful, busy year! I started out with huge plans for my blog. Unfortunately, my job got in the way with so much overtime and scheduled Saturdays. I kept up with all of my favorite blogs, lost myself on Facebook, Flickr and Pinterest and YouTube. 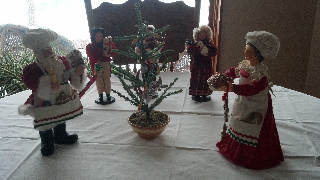 Then I sewed like a Madman on the last two weeks before Christmas!!!!! This upcoming year is once again full of determination to be a better planner of my blog and my spare time! Honeysuckle beside the front porch. 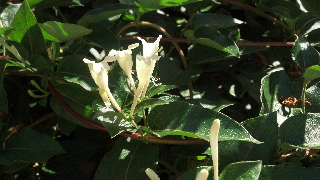 I love the scent of honeysuckle and the delicate yellow and white petals. Soon Jack Frost will whisper his icy breath across the meadow, turning everything a frosty golden hue. We will wake up to shimmering, frozen dew, pull on our sweaters, OR, we can stay in our flannel jammies and snuggle deeply under a comfy quilt! Fall colors are so amazing! They change from day to day, becoming so brilliant - until the winds whirl them from our reach. 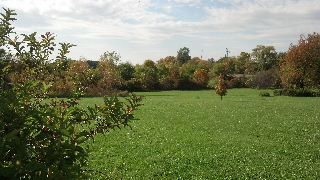 A view form my porch. It's only the last day of September. I have been into crocheting afghans and bedskirts for the house. White crochet bed skirt in progress. Crocheting in the great outdoors! 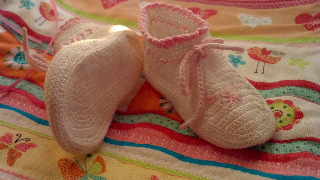 I found the cutest baby booties at an antique shop. 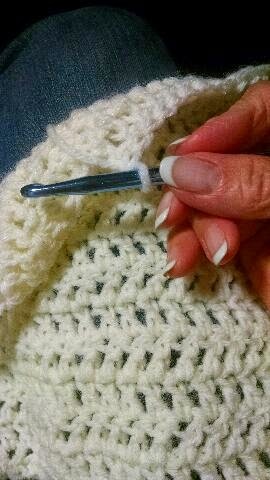 They have the tiniest crochet stitches. 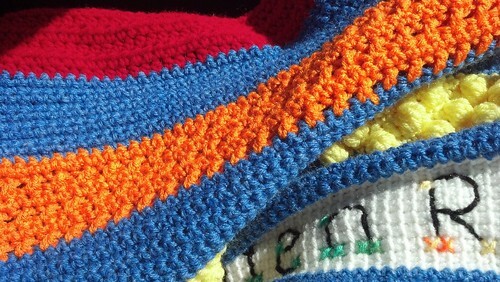 I can imagine a sweet expectant mother taking the time to create such delicate stitches for her baby's layette. 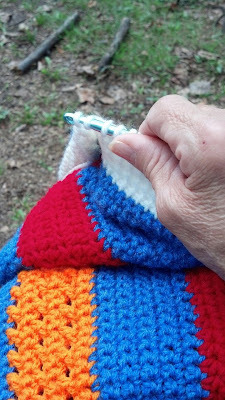 Crochet, sewing and quilting are not the lost arts, they are the Fine Arts that we create with our hands and hearts! 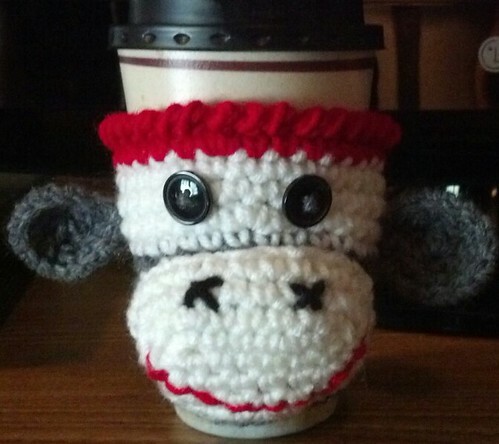 crochet coffee cozy, originally uploaded by Patsyquilts. More crocheted fun! This is a cozy for my coffee cup. I guess crocheting is more fun than a barrel of monkeys. I found the pattern online by Paton yarn. 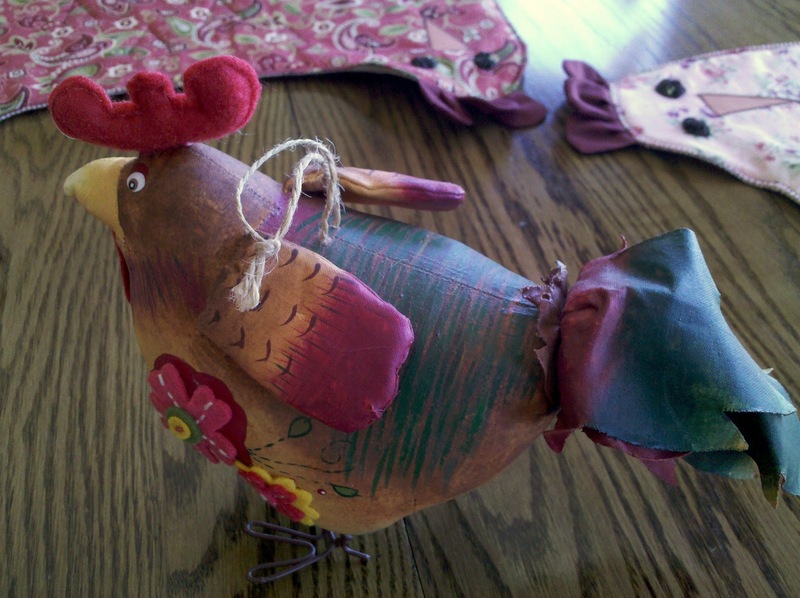 This could make a cute holder for party favors. 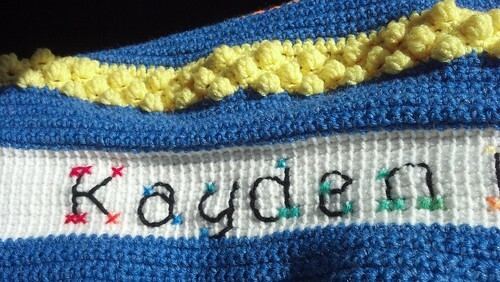 Kayden's Christmas Afghan, originally uploaded by Patsyquilts. I am trying to add lots of texture to this afghan. It will soothe him at nap time. Cooler days make crochet more comfortable! 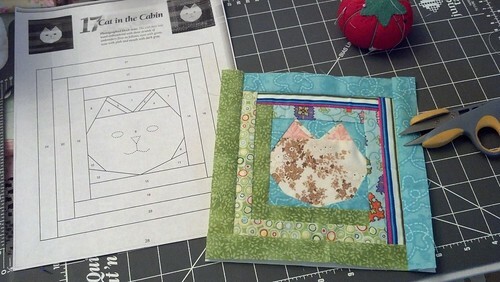 9 Cats in the Cabin, originally uploaded by Patsyquilts. A downpour going on outside. I didn't make it out of the sewing room! Four blocks made, five more to go. Nine blocks for "9 Lives". 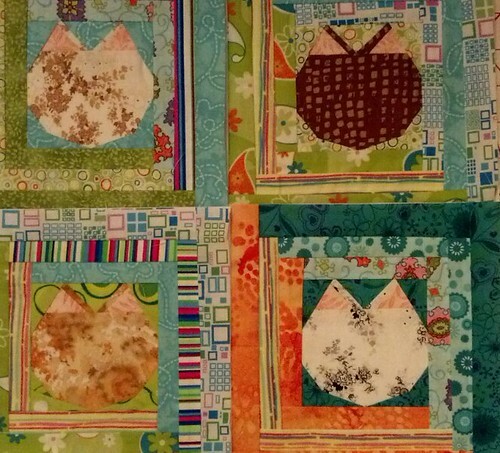 Paper Pieced Kitty, originally uploaded by Patsyquilts. A nice day for sewing, it's raining off and on today. If it clears up, we might go to one of the many festivals around here! August Block of the Month, originally uploaded by Patsyquilts. I worked on a quilt block for the Redbud Quilt Guild. Steve and Patsy, originally uploaded by Patsyquilts. 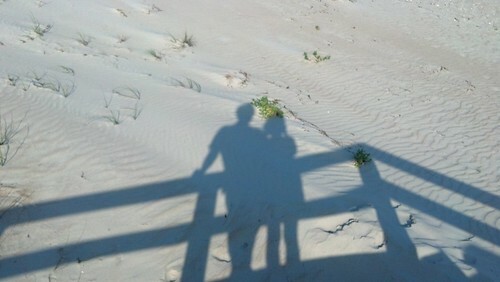 We are having a nice vacation on the outer banks of North Carolina . 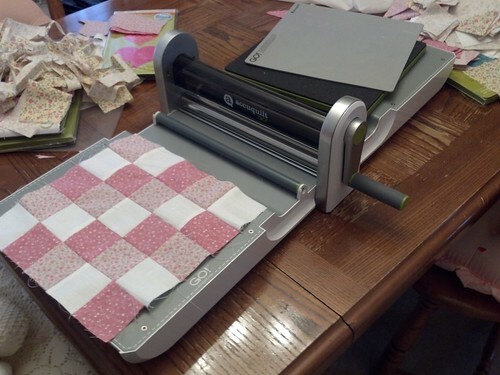 Accuquilt Go for Christmas!, originally uploaded by Patsyquilts. 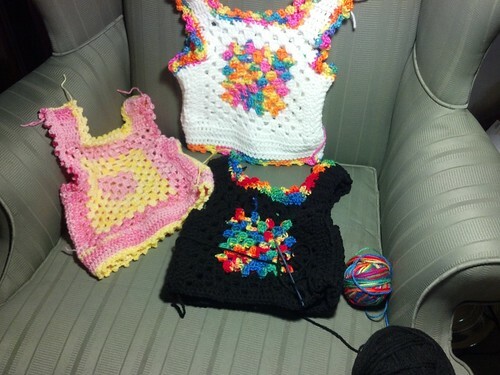 Adrianna's vests, originally uploaded by Patsyquilts. I had a really great day! First of all, I had lunch with my best friend. Then we found a wonderful antique shop down the street. She was looking for vintage hankerchiefs and I was looking for anything that was emboidered or crocheted. Standing at the display table, I let my mind wander off into the past where people took pride in creating anything handmade for the home. 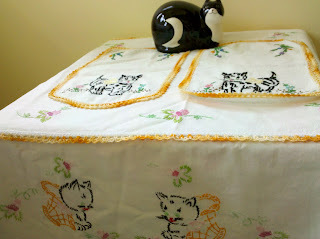 I remember Mom embroidering pillowcases for me and my little sister back in the 60's. All of these wonderful linens here at my fingertips had a past, someone loved them. 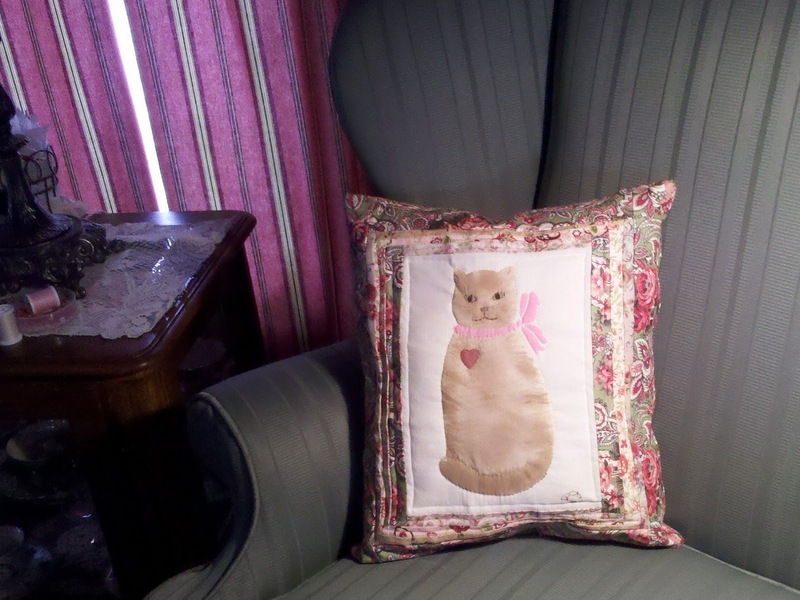 Maybe this cute kitty pillowcase was made for a little girl's room. 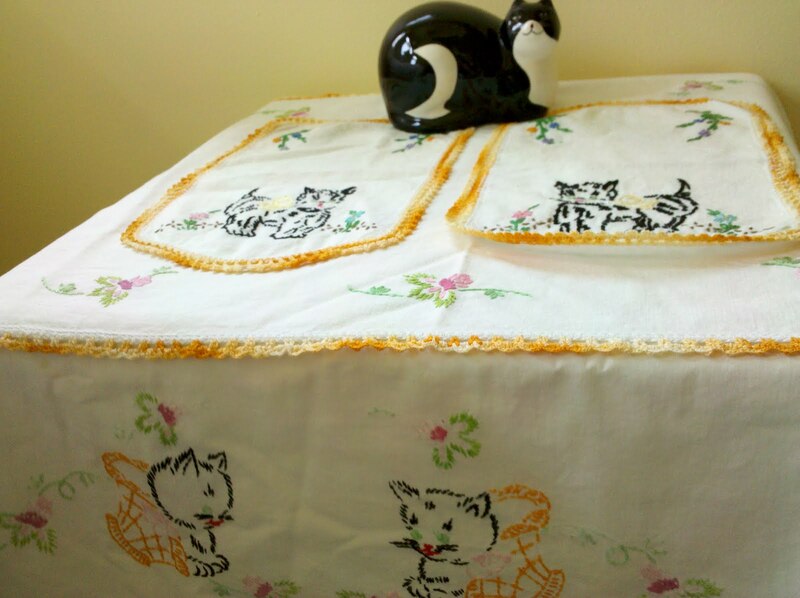 She went to bed at night with this sweet pillowcase under her head Or getting ready for school, Mother was brushing her hair while she looked down at the lovely vanity that held the playful kitten scarves. I took these lovely linens home and gave them a light washing. The pillow case had been worn through with a tear in it, so I turned the whole ensemble into a cover for my small trunk! Everything was saved, it just needs some pressing to look fresh again! 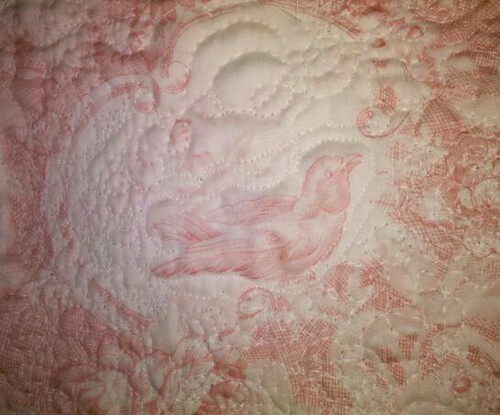 Perhaps 30 years from now, someone will look at my quilt and wonder who snuggled under it with all those bluebirds flying around! Jacob's Ladder, originally uploaded by Patsyquilts. I finally completed my first hand pieced full size quilt,. 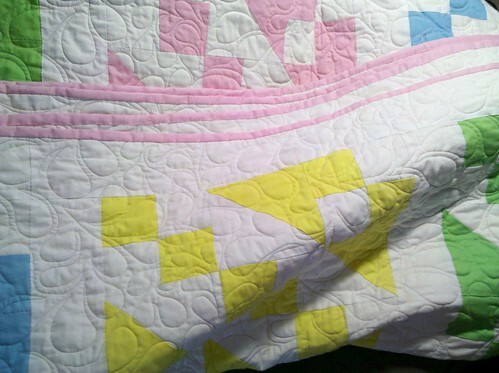 The Jacob's Ladder Quilt was started back in Hawaii when I was a military wife. I remember cutting out my pieces with scissors after I traced the pattern onto the fabric with a pencil and cardboard template. Kids were in bed and husband away in Iwakuni, Japan, I stayed up many a night stitching away. Back in Indiana with a brand new husband and grown up kids, I dug that quilt out of storage and finally finished it up! This quilt will go beautifully with my cottage style home. 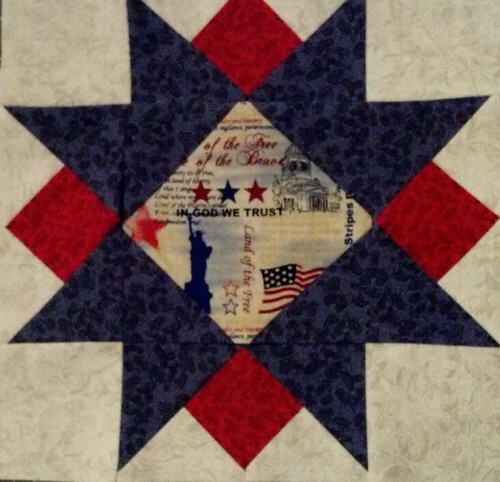 Freemotion quilt square, originally uploaded by Patsyquilts. 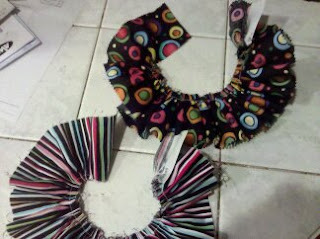 I'm just using up a fabric pack that I bought at Joann's a few years back. This will be used in a King size quilt. I used the FUN AND DONE quilt template- quilt as you go. 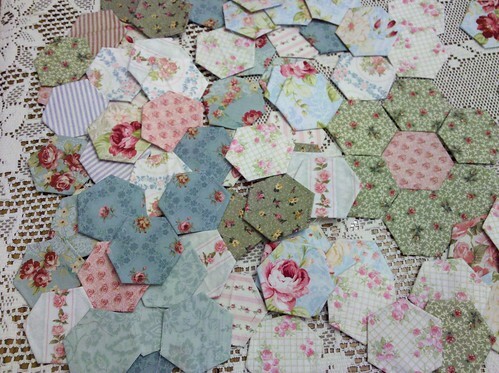 Hexagons, originally uploaded by Patsyquilts. Another wonderful day in front of the television! I wasn't watching very much, I was too interested in playing with fabric! 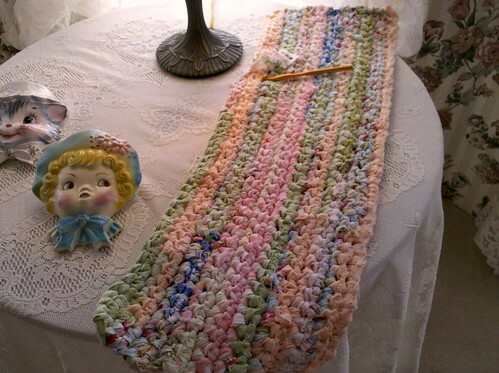 CROCHET RAG RUG, originally uploaded by Patsyquilts. Just working on using up my scraps. 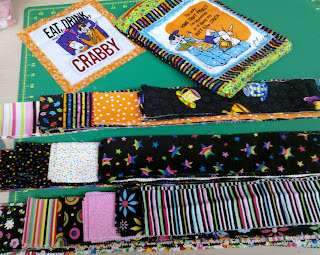 Most of these pieces were cut ff the edge of my fabric before I cut out my patches for my "BATTING BUDDY" free motion quilt - a practice in free motion quilting. In progress, for the bedroom. 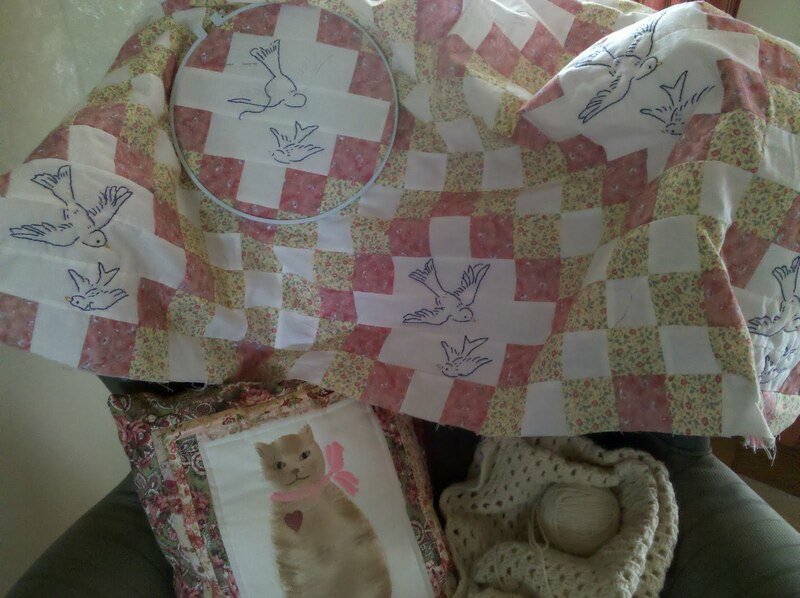 To go along with quilt that I will practice free motion quilting. 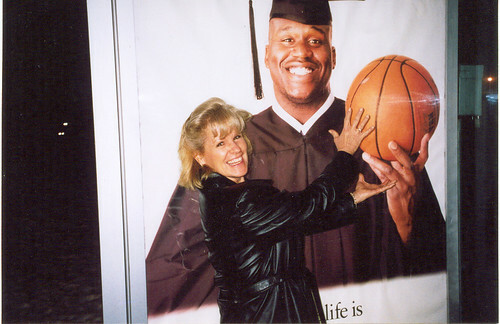 PJ and Shaq, originally uploaded by Patsyquilts. March Madness! This is the last day of March and here in Indiana- WE LOVE BASKETBALL! 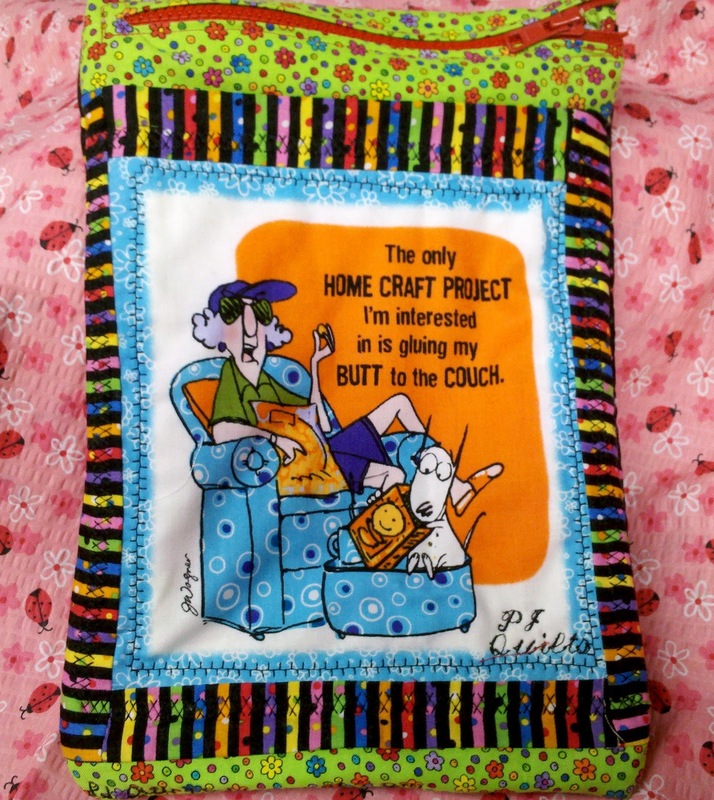 If I had listened to her- my sewing machine would be OK! 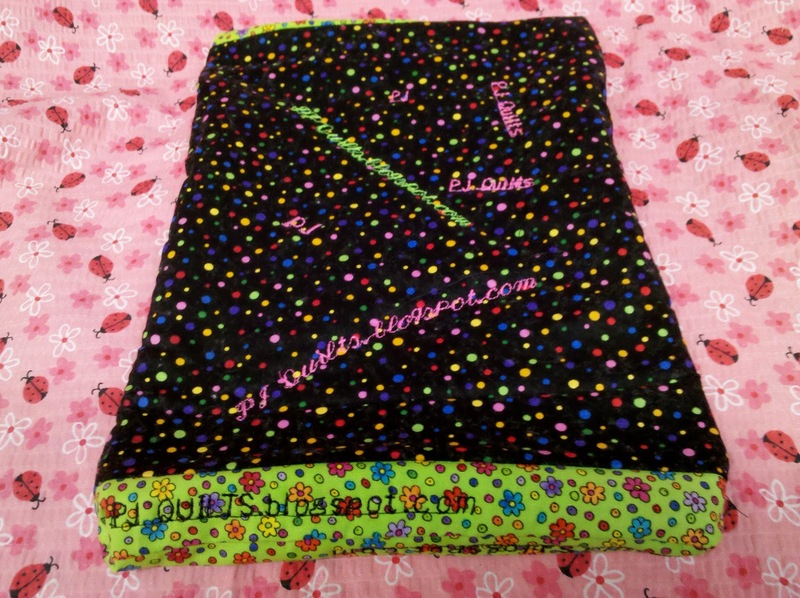 Why is it that you want to sew the most when your machine is in the shop? LOL !!! I guess it's one of Murphey's Laws. After I got back from the sewing machine repair, I uncovered my Singer 201-2 and set her to work. Inside of my little green box of attachments, was a Singer ruffle maker! She runs like a dream for such an old gal- 70 years old almost! 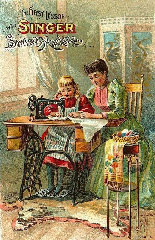 I love her dearly, but then again, I NEVER MET A SEWING MACHINE I DIDN'T LOVE! My sister had a birthday on Sunday. 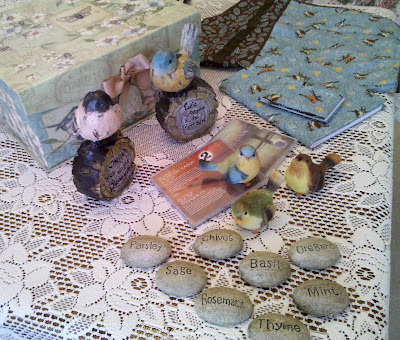 Sandy loves gardening, that's why I chose birds and herb markers that look like little stones. I also stitched up an apron, memo pad and garden journal. All packed up in a beautiful gift box that she can use to put treasures in. My step mother's birthday was on the last day of February/ first day of March. She was" a leap year baby". I remember celebrating her 9th birthday with her, next year, she will be 21. Finally an adult! It took forever for her to grow up! She's quite a lady, so I knew that she would get a kick out of Maxine! Then I decide to make some Maxine gifts for ME! 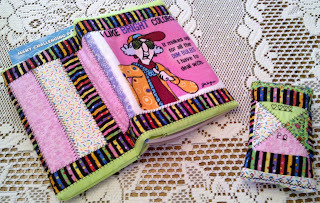 I will be taking some classes at the AQS Quilt Show in Paducah, KY again this year. I needed something new! Here is a pillow that I made this weekend. I used an old stencil of a cat, painted it with acrylic paint and an additive to turn it into a fabric paint. 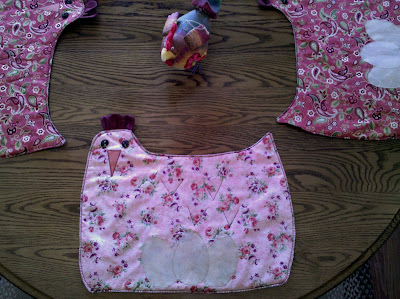 Strips were added to the sides, then quilted. It was so much fun to dig out old stencils and use them again! To come to PJ's house! Tuesday night is my Husband's night out to shoot clay targets at the Conservation Club. 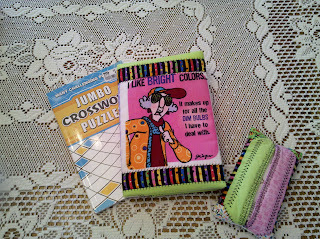 It is also my night to go downstairs into my sewing room and create some fun. I made up four place mats to put on the breakfast room table to cheer it up. I'm using some of my scrap fabric left over from the quilt blocks that I've been working on since I've been on sick leave. Just knowing that soon, I will have to go back to work - puts a little fire under my seat to hurry up and make a few things with this precious time I have left. It's been only a week since I've been able to go down into the basement to the sewing room . This color is my favorite! I thought chickens would look cute at breakfast time, we can look out of the huge picture window and watch our real chickens scurry about and pecking for food this coming spring. 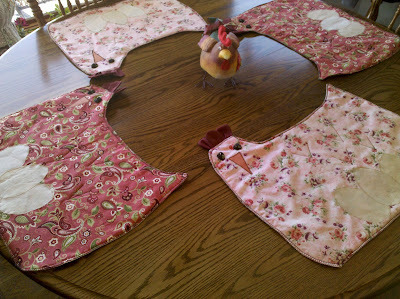 Four place mats to go around the table. This design was so simple. 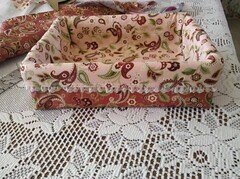 A cute tea cozy in a smaller version would look cute, maybe some egg or chick coasters, too? MY KIND OF SUPER BOWL SUNDAY!! 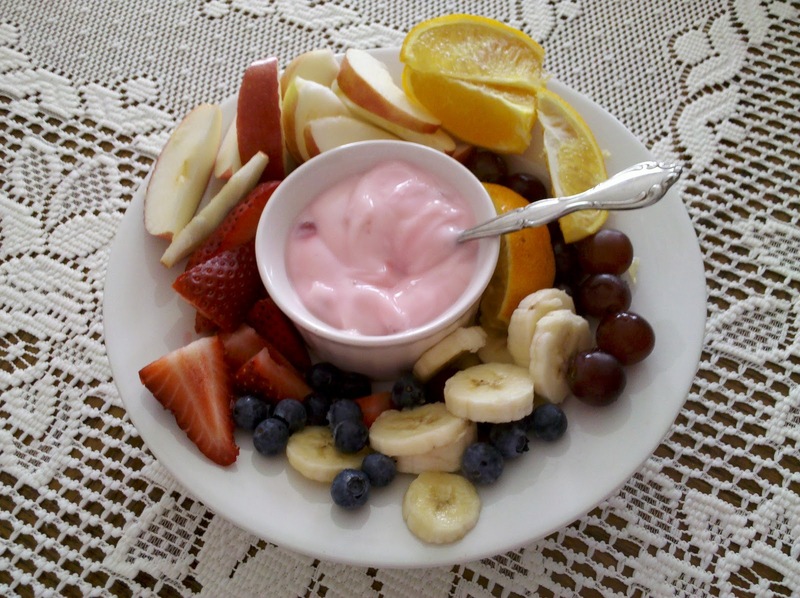 Start the day with a cup of Strawberry yogurt and tons of fresh fruit. I'm not a sports fan like most people are this time of year, so if you say Super Bowl, I tend to change the subject! 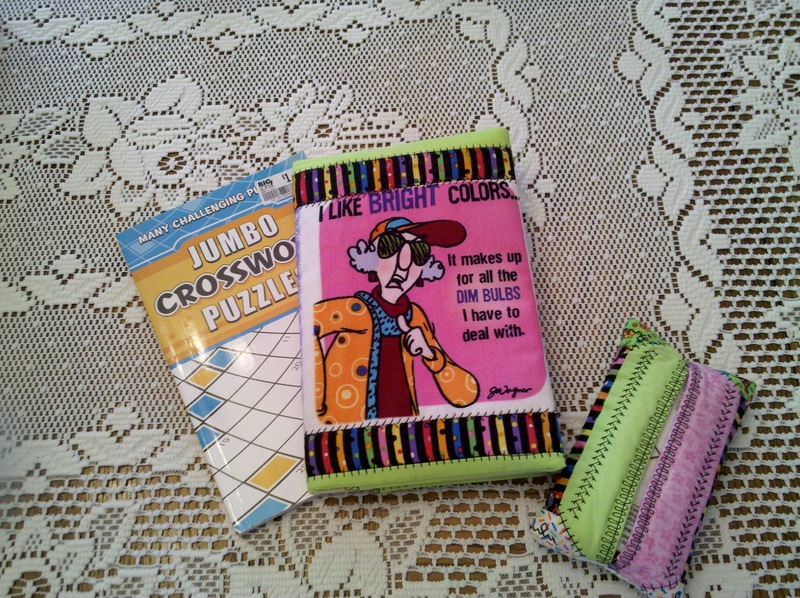 I like to go to the craft room or read if the games are on. Speaking of reading- I just ordered a few books and since I've gone through them, all that's left is the box. What's that saying we had after Christmas? Give them toys and they just want to play with the box!! A box full of goodies! 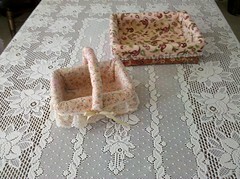 The Beginning of the Fabric Basket. 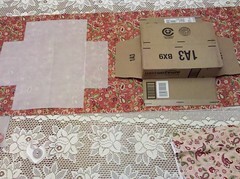 Remove items from box, turn over, trace - allow 1/4 " seam allowance. Cut fabric and batting. Sew sides together. 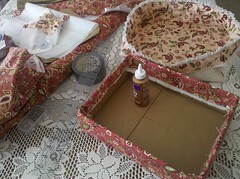 Glue bottom fabric liner onto box and tuck in edges. Tacky glue or duct tape to secure. Sew top liner the same way. Place basket liner inside box and bring over the edge. If too loose, remove liner and increase seam allowance. On left, made in June 1984. Right made in February 2011. A handle was created for older basket out of fabric sewn into a tube and stuffed with polyester fiberfill. 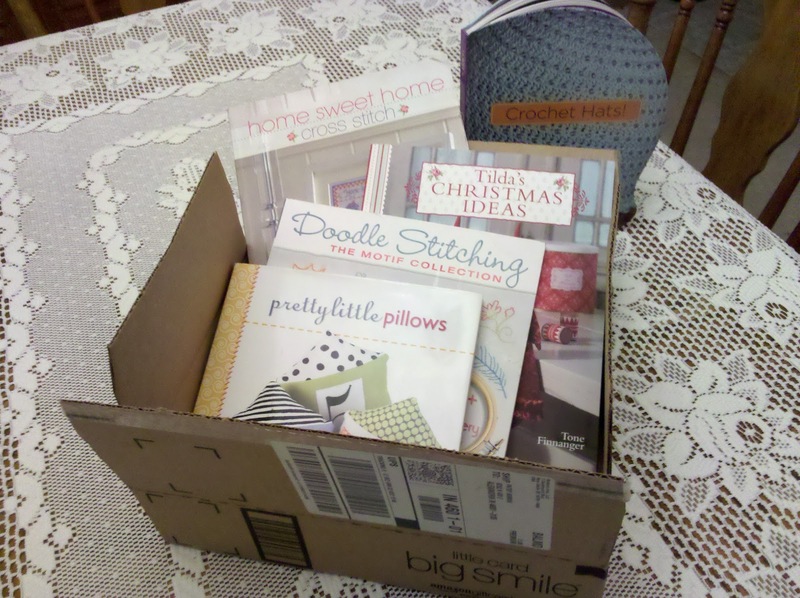 These boxes would be cute made out of Holiday Fabrics, imagine a Valentine Box, a St Patrick's Day Basket filled with chocolate filled gold coins, or an Easter Basket; hope my family doesn't read this!